Logins this hour: 5913 ? The Autoscheduler is designed to service/shifts duties in your schedule. It can spaces assignments, balance workloads, and ensure that different days of the week are distributed evenly, all while accounting for FTE%, targets, staff work preferences, rules and call patterns. Select a service/shift on left-hand side of your schedule you want to fill first. The Autoscheduler fills one service at a time. This enables you flexibility on which services you want to autofill vs manually fill. It also provides you freedom to change the Autoscheduler settings on how to fill the services based on your service needs. 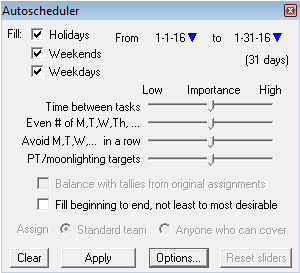 In the Autoscheduler tool, choose to fill Holidays, Weekends, and/or Weekdays. For example, if you'd rather schedule holidays manually, uncheck Holidays. Select a range of dates you want to fill using From and to. If applies, adjust and check your fill preferences outlined on the Autoscheduler tool. If you have a can-cover rule established, you may choose to have the Autoscheduler fill standard team or anyone that can cover. Learn more about can-cover rules. 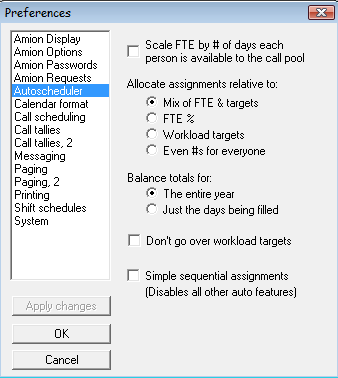 At the bottom of the Autoscheduler tool, select Options... In the Autoscheduler Preferences window, select the options that fit your needs for filling the selected service. Then click OK to close preference window. Click Apply to fill. To undo what you filled, click Clear. The Autoscheduler will fill around any manually entered assignments. However, if you clear the assignments filled, both the autofilled and manually entered assignments clear. Schedules built manually or using the Autoscheduler tool typically need some fine-tuning. Many groups look at the Statistics page (tally report) to ensure fairness, and then manually tweak the tally report or adjust a few assignments in their schedule to improve the balance. In addition, when trying to balance workloads and avoid conflicts, the Autoscheduler tool ignores services that aren't included in the tally report. Click the Sigma, icon in the icon toolbar above to go the Statistics page. Use the Infobox... window to set the report parameters such as tally type, report type, date range, shifts to tally, days to tally, and tally preferences. Note: Click the Shifts to tally to set the services you want the Autoscheduler to balance totals with. If someone has a heavier workload, click and drag their tally number up or down to someone who's on the low side. The Autoscheduler tool looks over the tally period to find the best service to give to the other person. 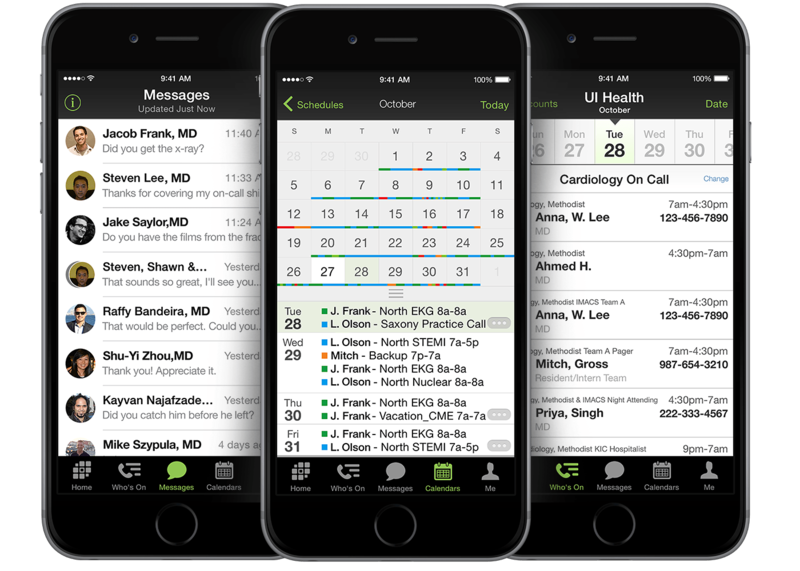 When dragging, the cells highlight green if the adjustment is a possibility for that person on the schedule. A Tweak the Tallies window appears giving you a record of your adjustments, including an option for Undo if needed. Here we discuss autopopulate. This page describes populate.